2019 Course Dates: 8 Tuesdays: March 26; April 2, 9, 16, 23, 30; May 7, 14 | 6–9 p.m., plus 2 weekend day trips to be arranged. 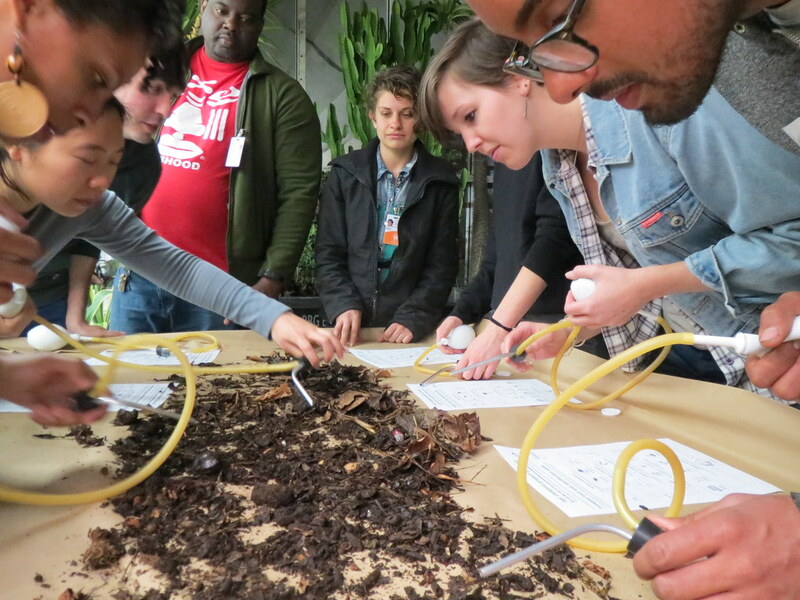 Compost enthusiasts and advocates have the opportunity each spring to take the Master Composter Certificate Course with the NYC Compost Project hosted by Brooklyn Botanic Garden. This course requires 18–21 hours of classroom instruction, 2 field trips, plus 30 community service hours helping to advance on-site composting in NYC. Certification of completion will be delivered to trainees upon complete of volunteer service. The application deadline for the 2019 Master Composter Certificate Course was February 1, 2019. Applications for the 2020 course will open in the fall. Contact NYC Compost Project staff at compost@bbg.org or 718-623-7290 for information about hands-on composting and recycling workshops. Maximum of 30 students per workshop. Contact NYC Compost Project staff at compost@bbg.org or 718-623-7290 if you would like us to come to your Brooklyn community garden, neighborhood association, apartment building/board meeting, or civic group to present workshops for ten persons or more. The NYC Compost Project offers classes at BBG throughout the year. Pregistration is required. Request a compost information table at your public event. Contact compost@bbg.org or 718-623-7290 with more information, such as the event name, date/s, time, and location. Please request a table at least three weeks in advance. Visit the Department of Sanitation’s NYC Compost Project materials webpage for resources and education materials.